My latest entry to my Rogues Gallery may be an unknown figure to some. 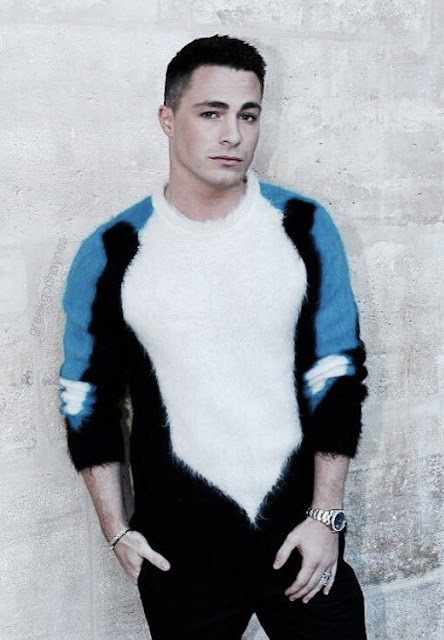 Having starred in supernatural and superhero influenced TV series such as Teen Wolf and Arrow, Colton Haynes has managed to pull off one of the trickiest manoeuvres in entertainment, successfully moving from model to actor. 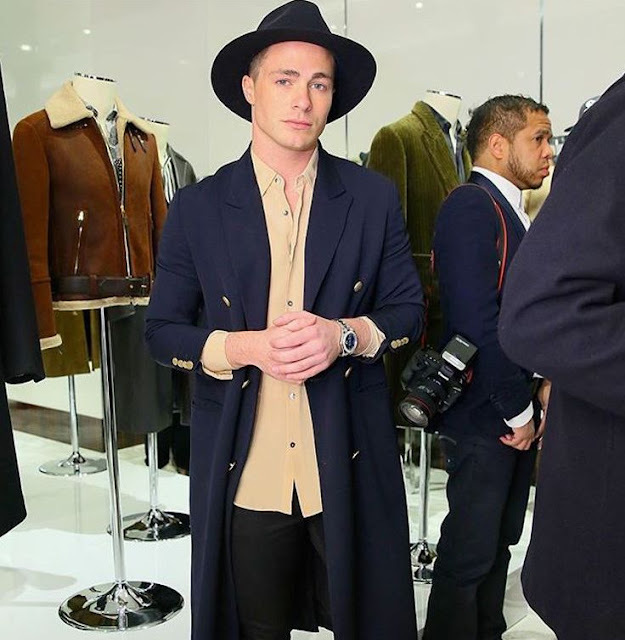 Colton's background in both modelling and acting may have helped shape his personal style; a style which is both brave and yet relaxed. Wearing Armani at the Entertainment Weekly party earlier this month. Wearing John Varvatos at the Vanity Fair party last week. He is also somewhat of an anomaly in the male modelling world standing at just under 5'8", he shows that us shorter guys shouldn't be overlooked by brands or designers. Inspired by the looks above, I've done the hard work for you as usual and pulled a few pieces to help you channel some of Colton's looks (without the Hollywood budget). 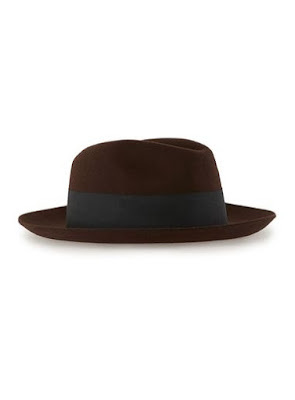 Although James Bay has cornered the market in felt hats, pairing it with a stylish overcoat rather than the ubiquitous leather jacket is refreshing. 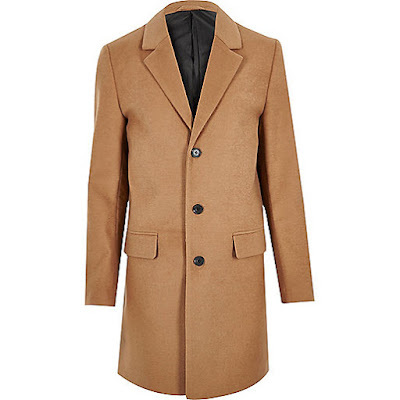 The combination of the navy coat and muted gold shirt is understated and suave. 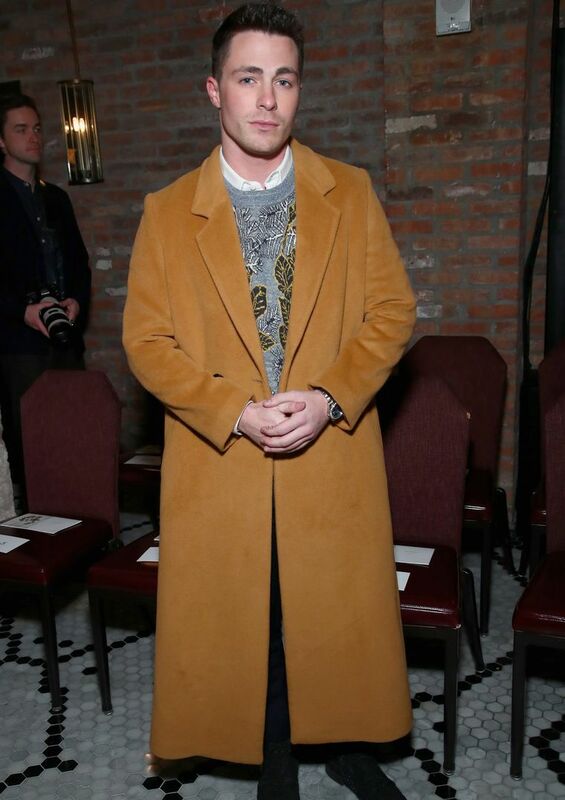 Camel coats were THE coat of AW16. It's never really gone out of style so invest in something substantial for your wardrobe. 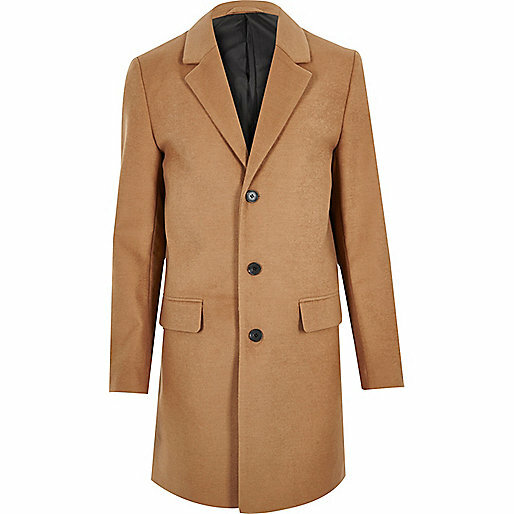 Its versatility means it works as an overcoat with a suit or dressed down with jeans and boots. 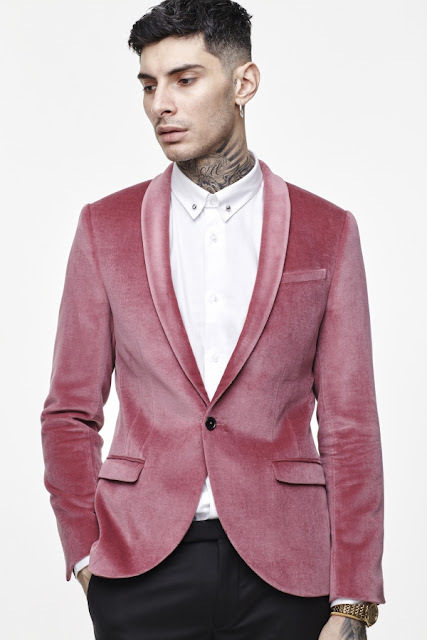 Sink the pink in this bold velvet tux jacket. 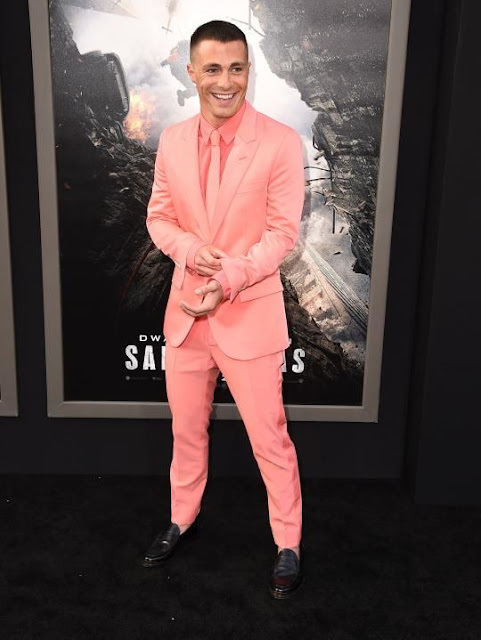 Perhaps more wearable than the salmon suit sported by Colton, this dusky pink would look sharp AF at a spring wedding. Colton's Armani and Varvatos suits are slick, fitted and black; like any superhero's suit should be. The slight sheen to this tonic suit catches the eye without turning it into something from a 00's footballers wedding. This is not a typo. The sweater is a fiver. How many of us have the budget to stretch to new season Louis Vuitton? 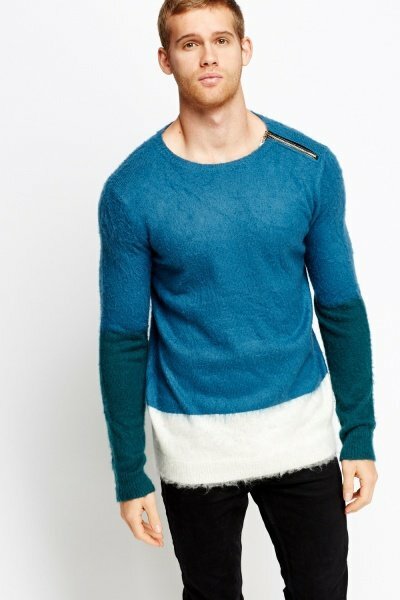 Tap the colour blocking and texture of that mohair sweater with this steal. The perfect weekend jeans, these lived-in skinnies will work with almost anything in your wardrobe. 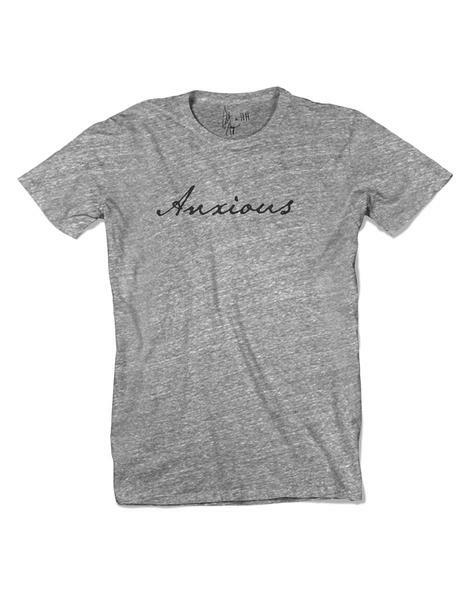 A tongue-in-cheek t-shirt from Colton's clothing range, a self-deprecating nod to his mental health issues. Colton has recently written of his struggles with mental health, addiction and coming to terms with his sexuality. For his efforts in the fashion stakes and for his honesty in living his life, he has secured a place in the Rogues Gallery. The pinnacle of the annual film awards season was held last night; the 89th Academy Awards. Celebrating the achievements of the past year in cinema, it's always an excuse for actors to don their best looks with designers clamouring to dress them in their latest pieces. 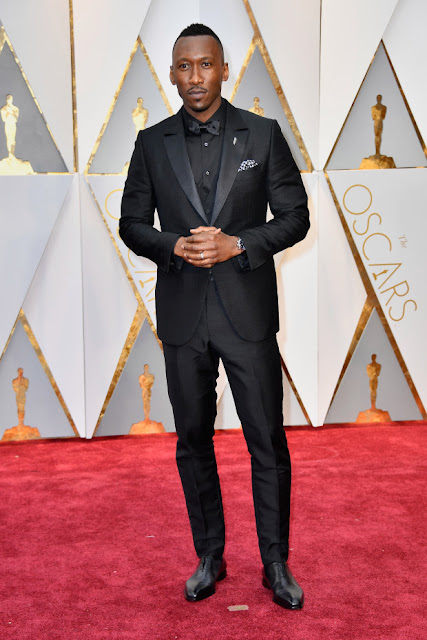 I'll be showing my top 10 best dressed male attendees, including winners Mahershala Ali (Best Supporting Actor - Moonlight) and nominees Ryan Gosling (Best Actor - La La Land) and Dev Patel (Best Supporting Actor - Lion). In no particular order, here are my thoughts on this season's red carpet; looking at who won what and who wore what! 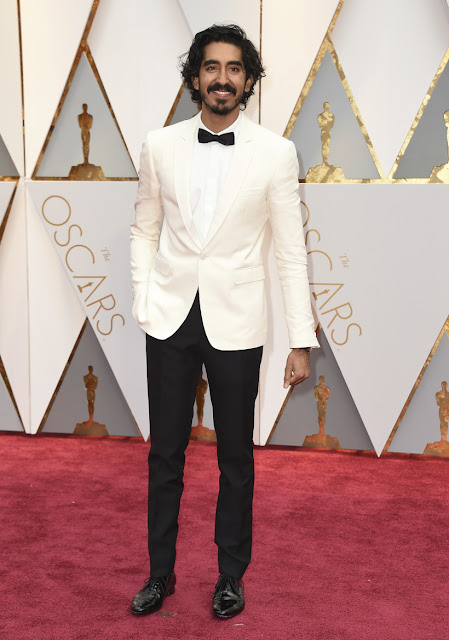 Eschewing the usual black or inky navy, I loved Riz's uniform blue tuxedo. Showing how a muscular guy can go formal without looking like a bouncer. 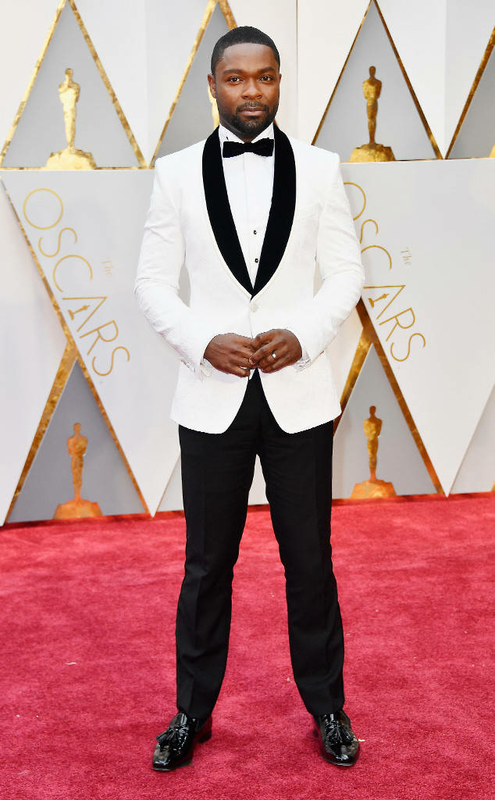 Had this been a full tuxedo, it wouldn't have been as sharp but by breaking it with a velvet jacket, it shows a playful side. Complementing his skin tone with white and ivory works amazingly. As a more mature gentleman, Jeff knows the value of a waistcoat to slim down a silhouette. It's hard to see from this picture, but his Tom Ford tux has a checked texture, breaking up a monochrome look. In varying shades of black, Mr Ali's look is broken up through texture in his tie, shawl collar and high-shine shoes. Adding a monochrome checked pocket square for a contrasting pop finishes the look. 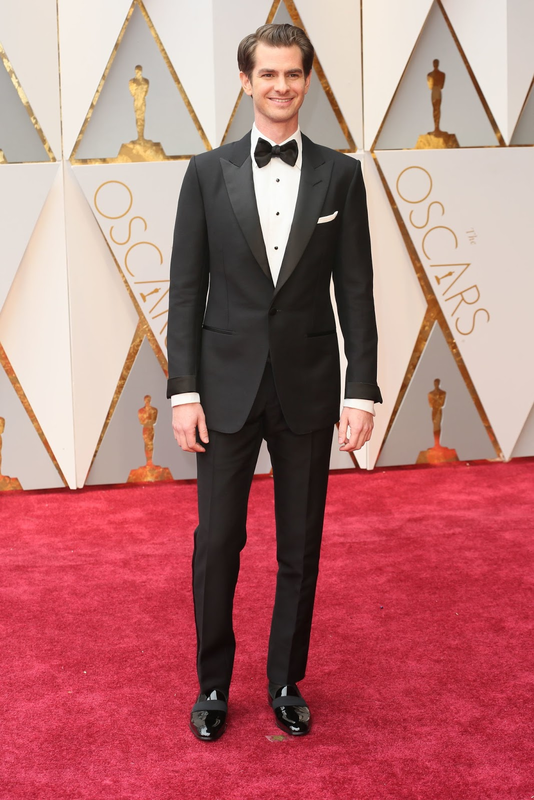 While it's not the most adventurous of suits, a classic black tuxedo fitted perfectly will always look good. I also especially like his patent slippers with the utility-looking strap. 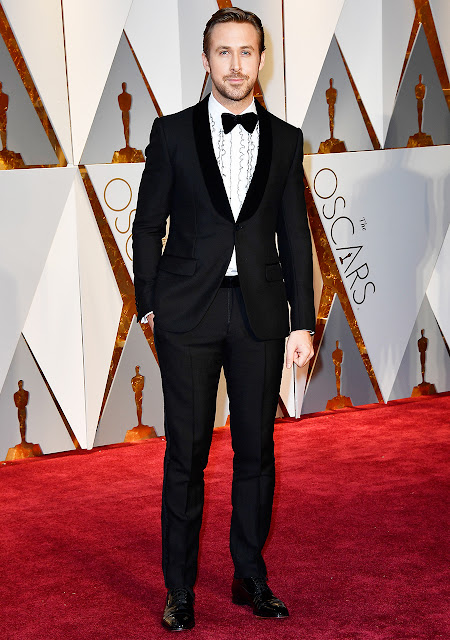 Channelling a little bit of vintage prom in his frilled shirt, Gosling rarely puts a foot wrong on the red carpet. Breaking up a slick navy tux with some regalia. It could have gone so wrong but this looks so good! That pretty much rounds off the awards season for this year, which looks were your favourites? One of my very first posts on my blog was a classic What's in your bag? post. I wrote about the items I deemed essential for my day-to-day tasks and what it takes for a bag to make it onto my must-use list. When Knomo approached me with an offer to review a bag of my choice, I knew the time had come to refresh! 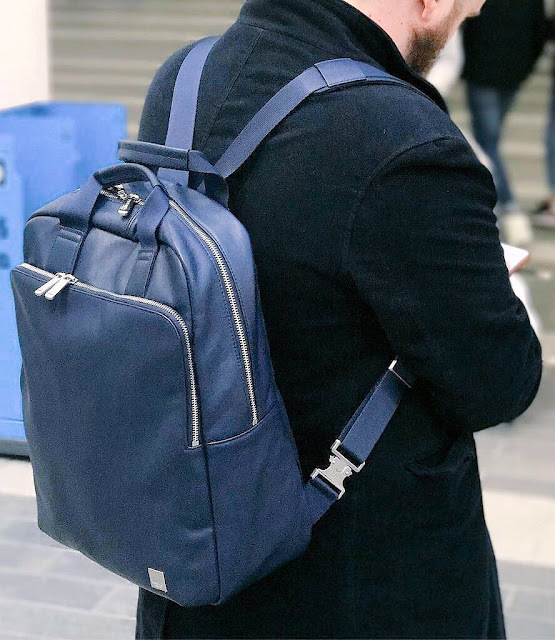 I opted for the Dale backpack in navy. A luxurious, buttery leather, the outer is contrasted with a vibrant yellow interior. The sleek chrome hardware and tough nylon shoulder straps contrast the smooth, soft leather beautifully. While I'm all for colour contrasts as an aesthetic effort, a lighter interior also aids in locating all those small things you throw into your back but can never find! it can be returned to you. 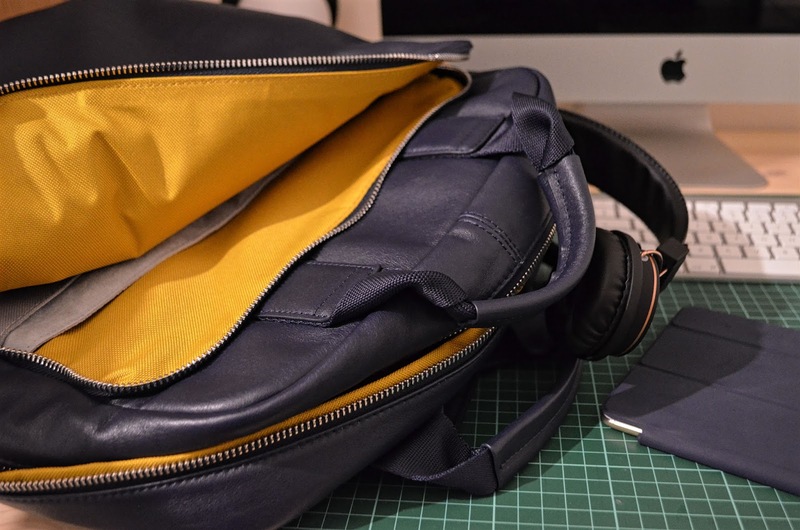 Inside the deceptively roomy main section is a padded pocket for your laptop or tablet. 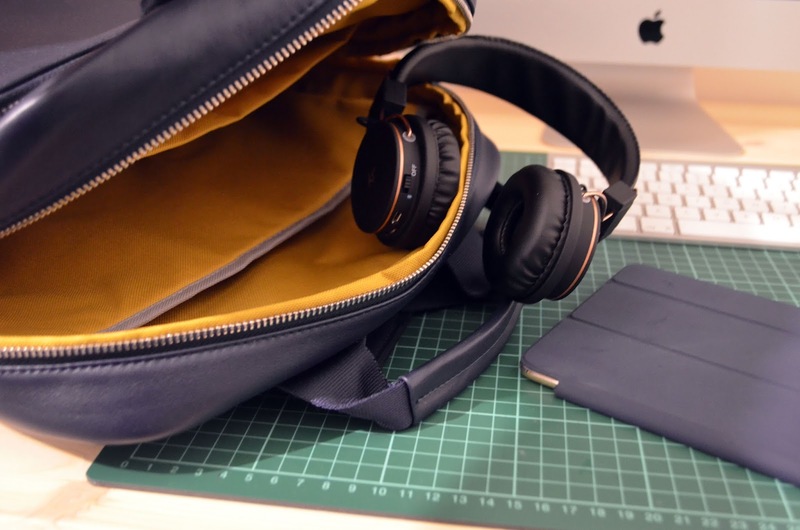 The front pocket is further divided with plenty of storage for your wallet, phone and accessories. 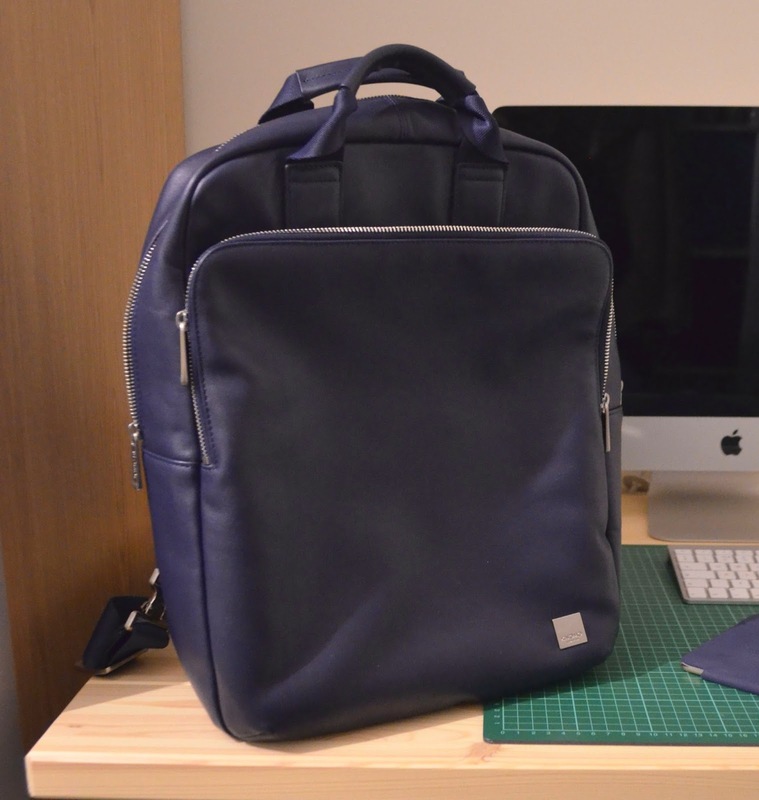 For a man who usually has both a laptop AND tablet with him on the go, this is a boon. It means I can also bring all the little bits that I might need from stationery to a phone camera lens. 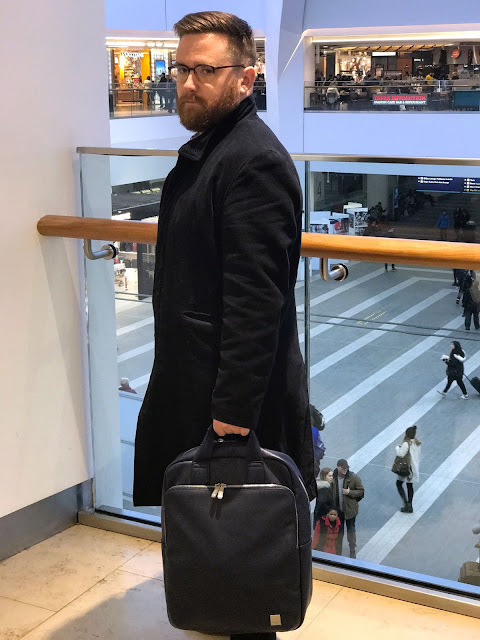 The rear of the back has a discrete pocket, designed for storing the shoulder straps when using the bag as a tote, but this could also be used as for travel documents, keeping them relatively hidden but quick to access when needed. 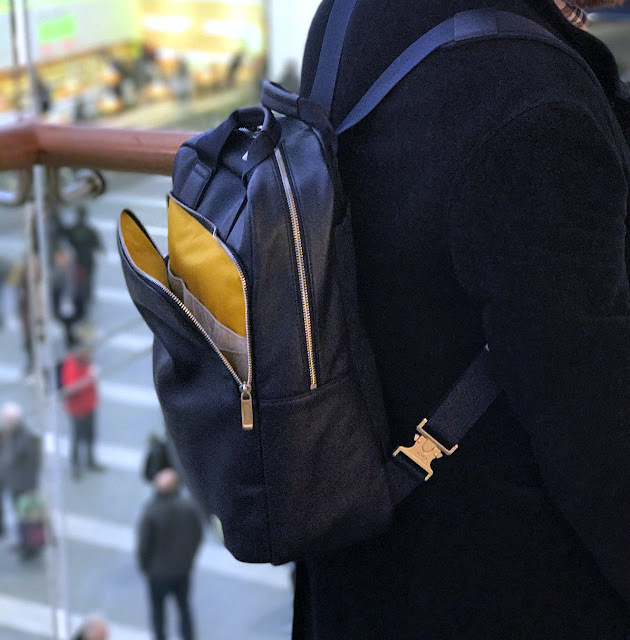 Knomo have nailed this form meets function niche; creating a stylish but practical bag for the modern man. I took my new bag on my recent trip to Berlin and was impressed with both the comfort and versatility of this relatively compact back pack. It also got its fair share of compliments with folks remarking on the colour and the minimal design. Accessories such as bags are the areas men should feel most confident in experimenting with. 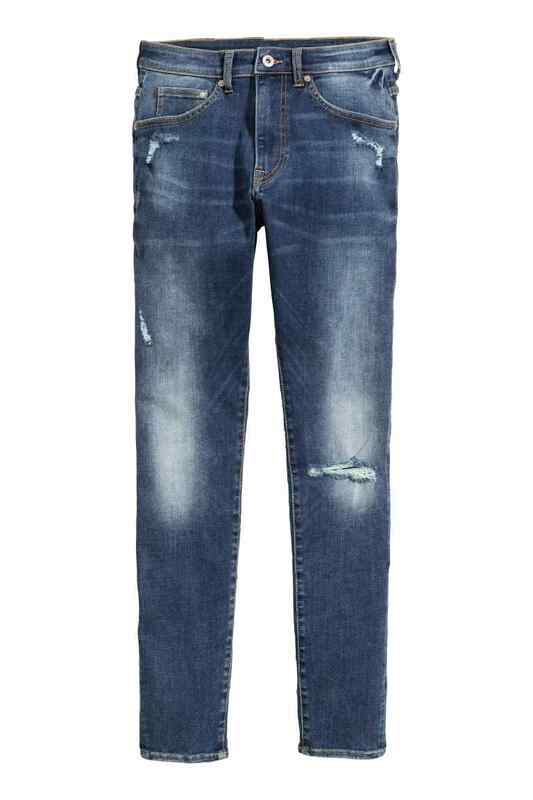 While navy is not that left-field, it is a departure from the predictable black. Adding colour in any form can add a huge dose of personality to your look, without compromising on professionalism. 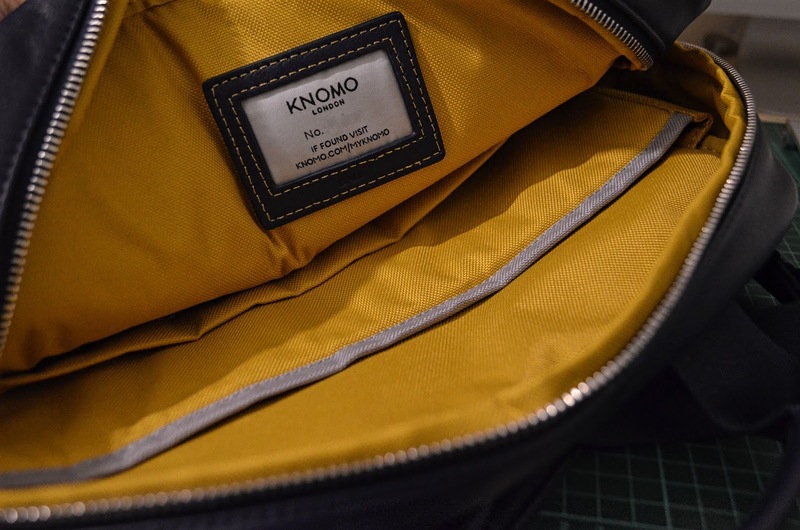 Thank you to Knomo for gifting me with the Dale bag for this post. Award ceremonies are like buses, wait all year for them and they all arrive at once. This literally happened last night when the BAFTAs were held in London and the Grammys across the pond in LA. 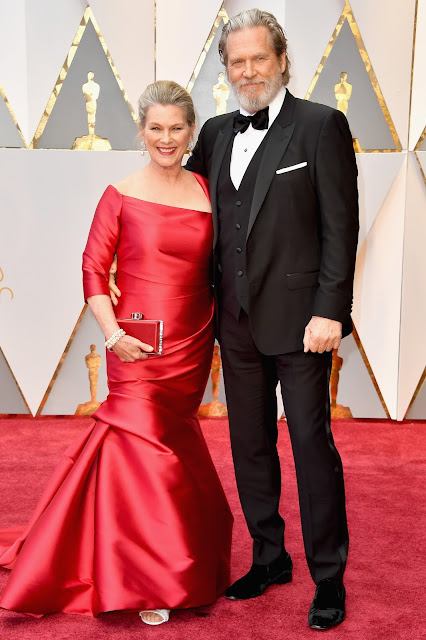 While the awards and all is interesting (and it is a chance for people to voice their political opinion to a new audience which is useful and important) for the purposes of my blog, I'm keeping it focused on who wore what on the red carpets. February in London is perhaps not the most tropical of climates to host an outdoor red carpet, but it never fails to deliver in terms of black-tie style. 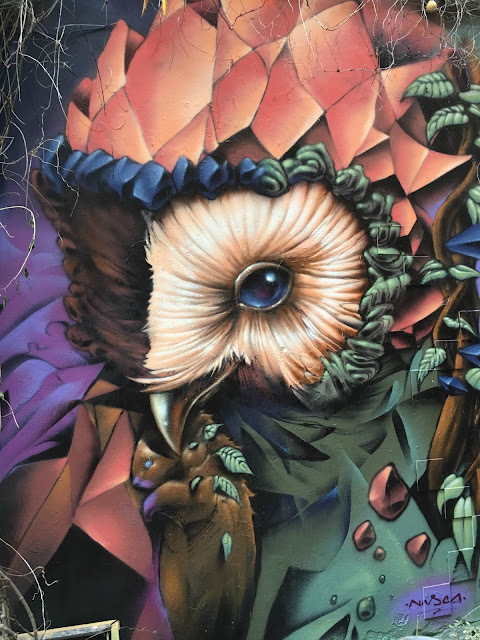 Perhaps it's the London effect or perhaps it's the nature of the industry, but attendees rarely stray from formal attire, relying on colour, texture and importantly, fit, in an attempt to take home the unofficial best dressed award. 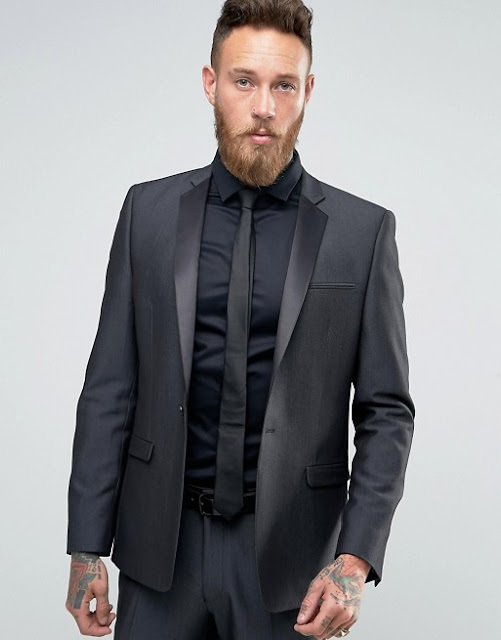 Proving your tux doesn't have to be black or navy. Is the former Spider-man dropping a hint he wants to be the next Bond? 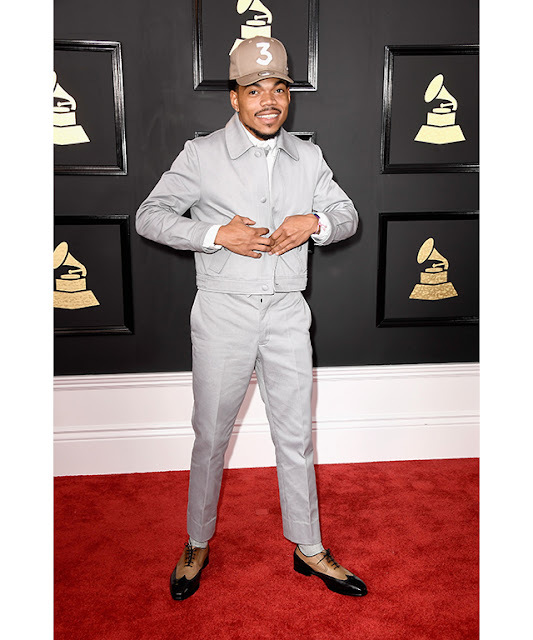 Celebrating the musical accomplishments of the past year, the Grammys are always a mixed bag of artists trying to out-do each other in the fashion stakes. Whether that's being head-to-toe in designer outfits or trying to pull off the nonchalant I only care about the music but please look at what I'm wearing look, the red carpet rarely disappoints. It takes a legend to know how to colour block his shirt and bow tie in salmon. 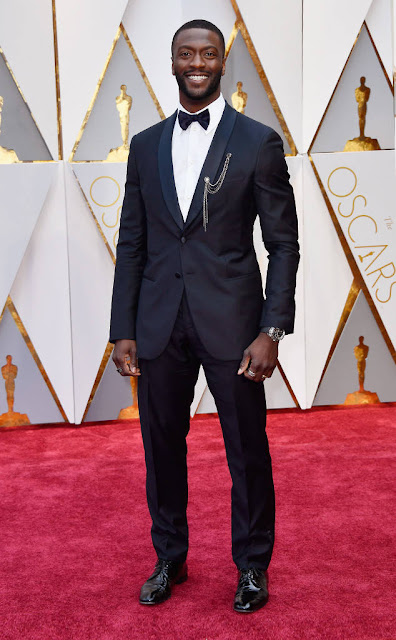 You don't have to wear a tux on the red carpet, but the cap ruins the look IMO. 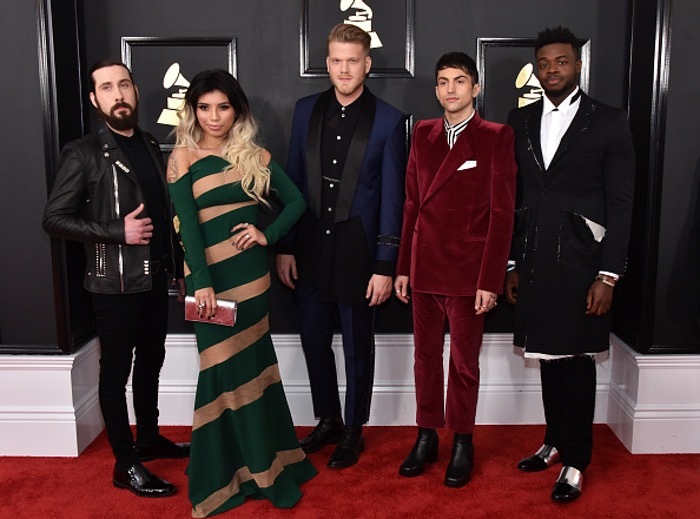 My favourite statement is Mitch Grassi's red velvet Balenciaga tuxedo. With just the Oscars to go in this awards season, it will be interesting to see what our favourite artists bring to the red carpet. We're already well into February, where is 2017 disappearing to? 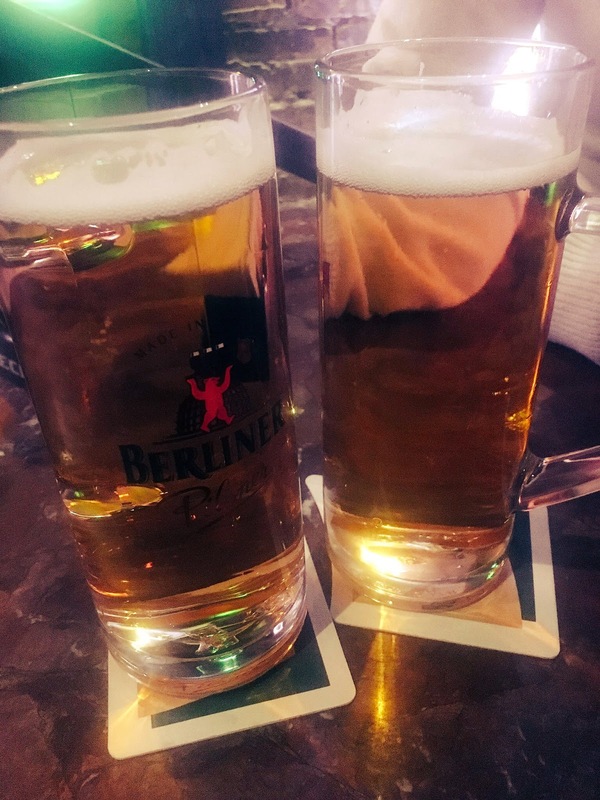 After taking January off, I'm getting back into my blog, starting with our recent visit to Berlin. 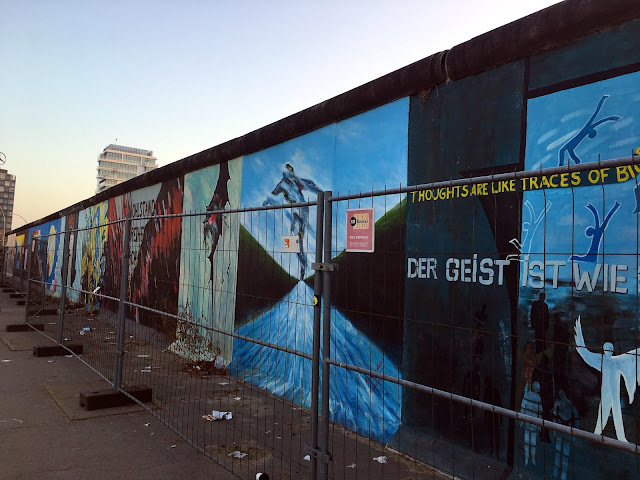 On a whim (and availing of the RyanAir sale) we booked our trip to Berlin late last year. I'd never been and truthfully, never really thought of visiting. I'd heard good things but there was no major draw for me. We landed in Berlin Schoenfeld airport on the morning of 31st January to a brisk and breezy 0 degrees. We had been checking the forecast prior to visiting with cold and potentially wet weather expected for the duration of our stay. I am usually overly warm so a crisp and cold climate was welcomed. If you are heading over any time in Winter/early Spring, be sure to pack a LOT of warm clothes, it hit -6 degrees while we were there with a hefty snowfall on our last night. The cosy wool jumper from White Stuff I got for Christmas was a wise choice. My hat was £1 from Primark women's department with homemade bobble. I'm pretty good when it comes to packing. 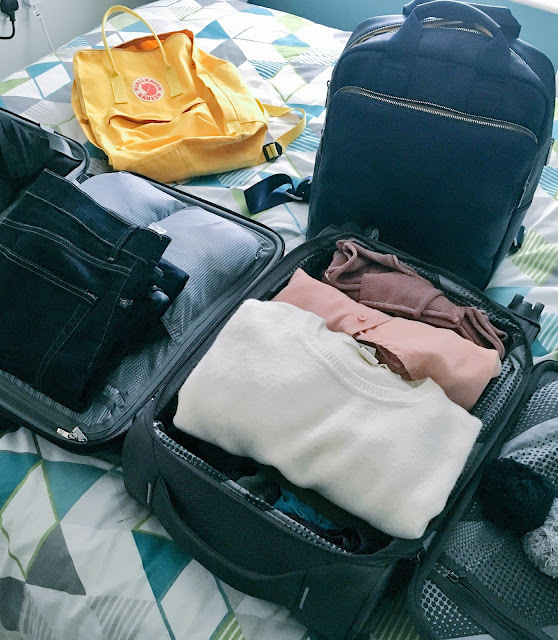 A cabin sized suitcase and my new Knomo Dale backpack got me through 5 days. 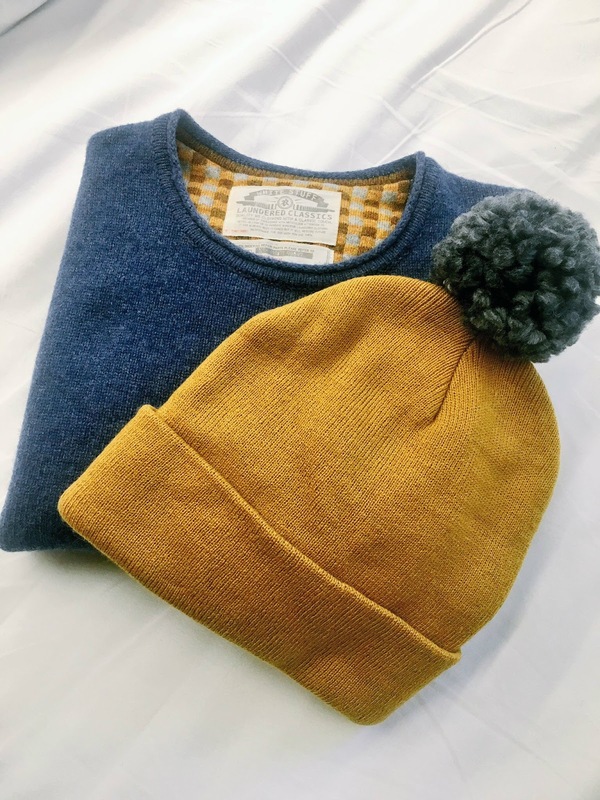 Just think of versatile clothing that can be combined for different looks on different days, reducing the need to bring more! 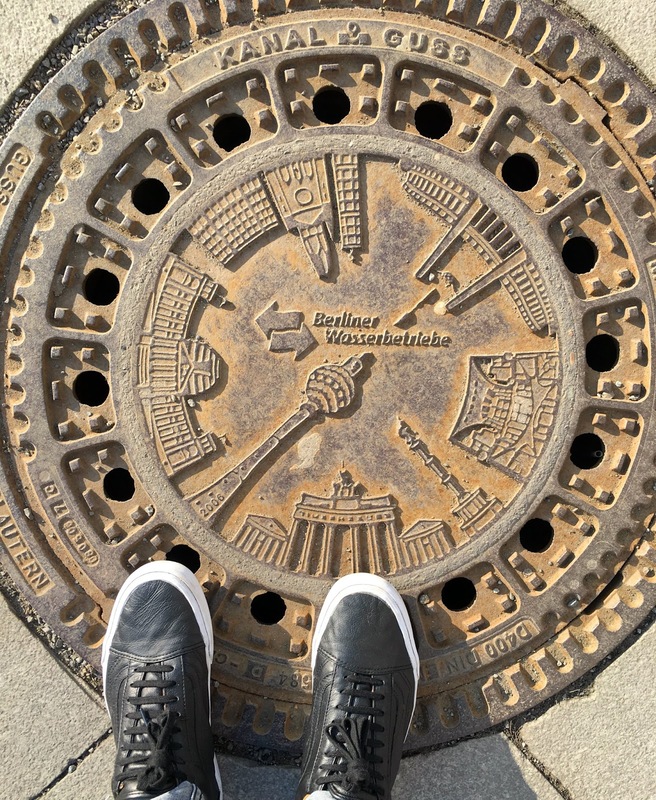 With 5 days in the German capital, I was determined to make the most of our stay but at a comfortable pace; eager to not miss anything but also not to run myself ragged trying to pack it all in! 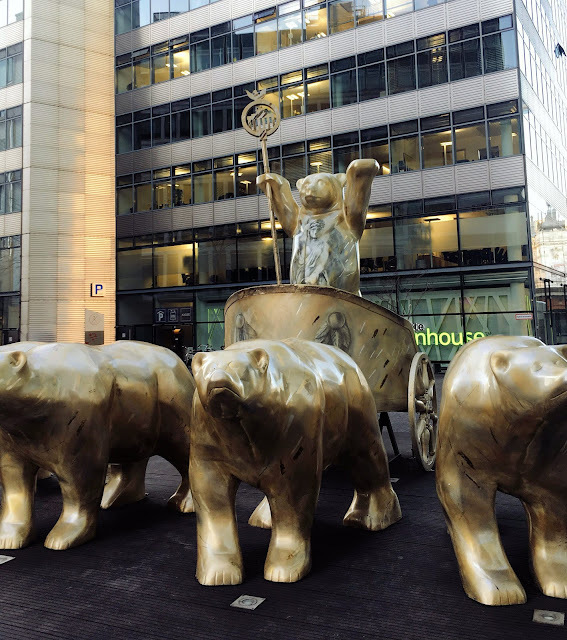 The first few days we did our own thing, exploring the city according to our own itinerary. 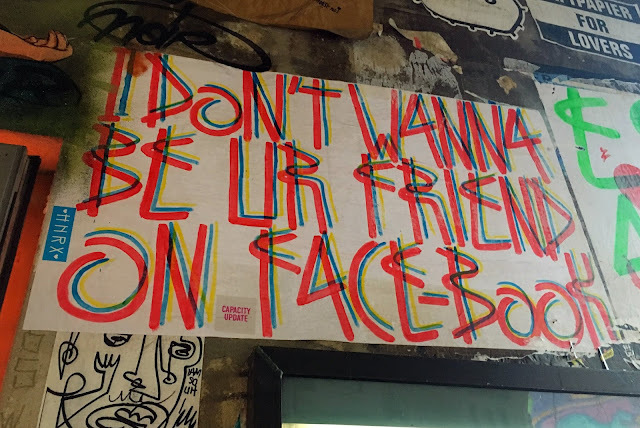 Having created a little list of cafes, bars and shops I wanted to visit helped but we did this in no particular order or pattern. 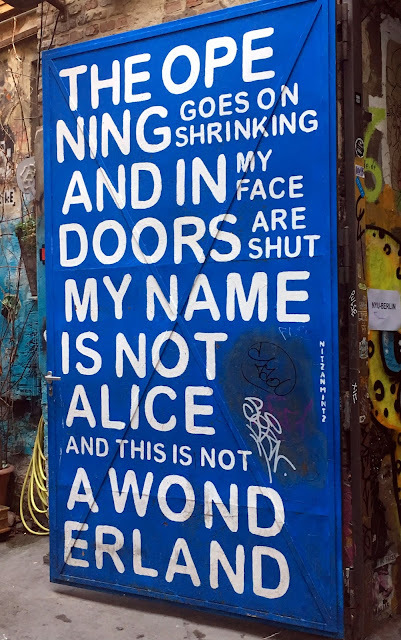 On Saturday we took the free walking tour - something I can't recommend enough. 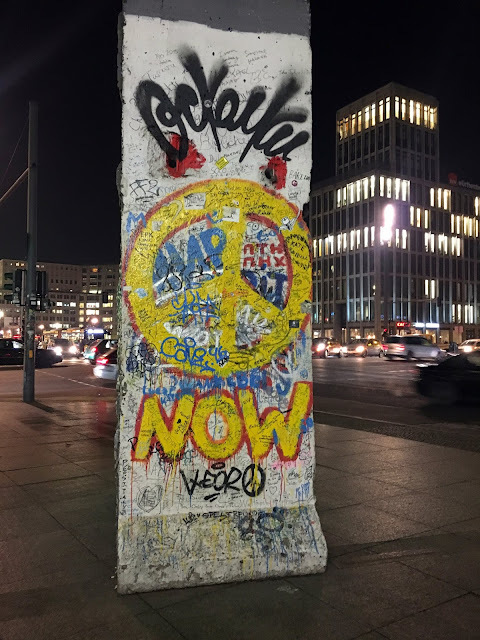 Not only is it free, but it gives you a great lay of the land and a condensed history of one of the most politically charged and dynamic capitals in the world. It's best to reserve a spot about 24hrs before you go although I chanced it and booked my tickets while grabbing a coffee 5 mins before the tour started. 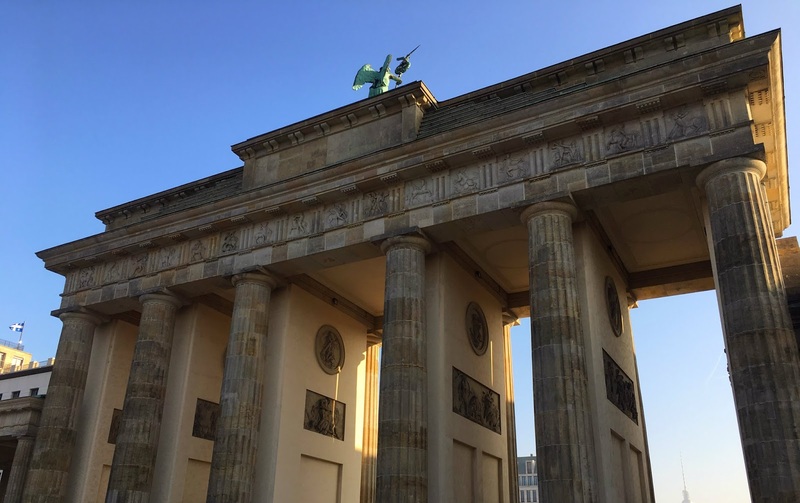 Leaving from Brandenburg Gate and taking in the former boundaries of the Berlin Wall, the Memorial to the Murdered Jews of Europe, the former site of Hitler's Bunker, Checkpoint Charlie and much more, it's a fact filled 3 hrs of photo ops. 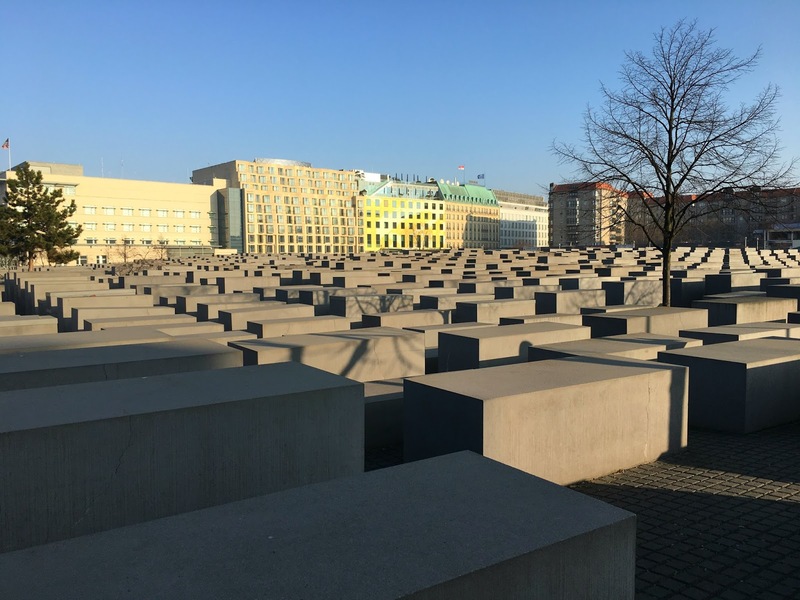 The Memorial to the Murdered Jews of Europe is a vast, stark arrangement of imposing concrete blocks, designed to force the visitor to make their own interpretations and meaning. 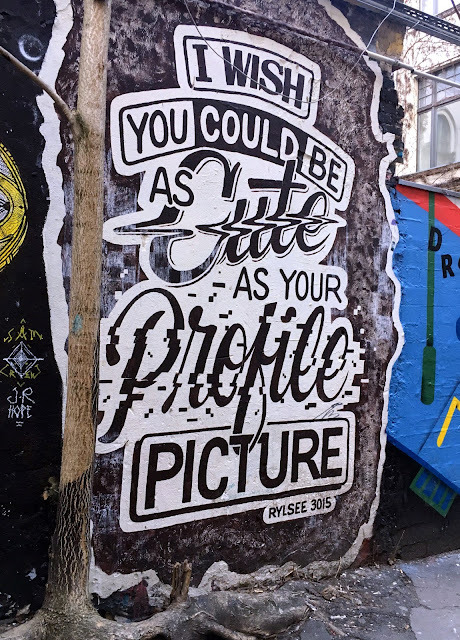 We joined the Alternative Berlin tour later that same day, another walking tour which focuses on the more off-beat sights of the city. 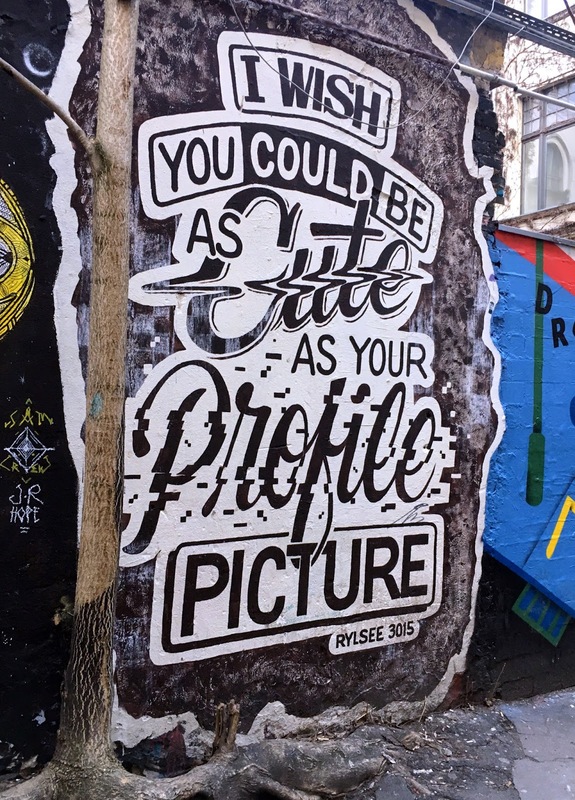 Visiting graffiti lined passages, the East Gallery (the longest remaining section of the Berlin Wall), YAAM camp (a cross between a commune and a market) and dozens of hidden street art pieces, it was an interesting and exciting insight to the artistic revolution which still resists the gentrification and commercialization of some of the more bohemian districts of Berlin. The East Gallery is the largest remaining section of the Berlin Wall and is now a monument featuring art from around the world. On Sunday, we took a trip to Oranienberg on the outskirts of Berlin to visit Sachsenhausen Concentration Camp. Perhaps not the most joyful of activities for a holiday, but I thought it important to visit such a place if you have the time and means to do so. 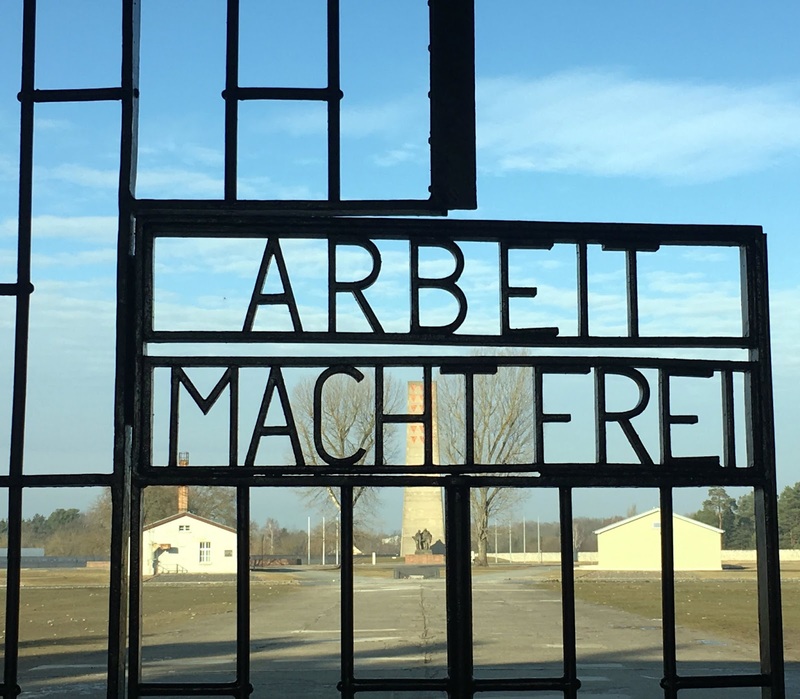 Sachsenhausen was the model for the Nazi concentration camp programme and it was here than many of the processes and methods were devised. A bleak and sobering place, you'll understand why I respectfully didn't take pictures within the camp grounds. The only thing I had booked prior to visiting was a tour of the dome of the Bundestag, the German parliament building. 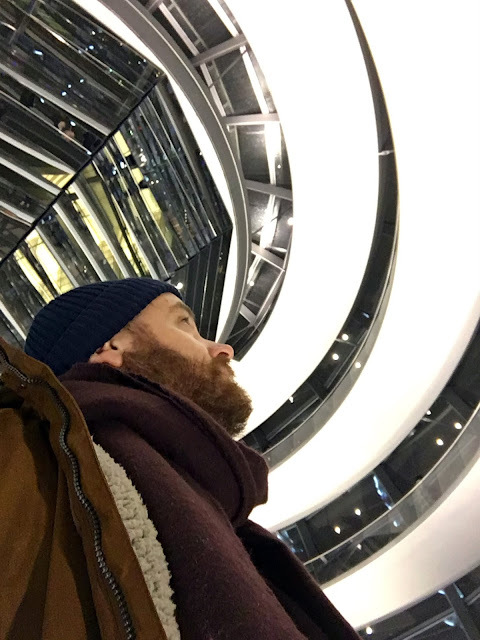 Booking in advance is essential as you have to pass security clearance (passport, xrays, the lot) but it is worth it for the feat of architecture that overlooks the city and the views you get from the top. We visited in the evening, just as the snow was beginning to fall. Magical. The dome covers a glass-ceiling parliament with the thinking being that if German politicians ever have to remember who they work for, they only have look up. On our final day, we were agenda-less and took the day easy, exploring and venturing. Here's a random assortment of snaps from my wanderings. 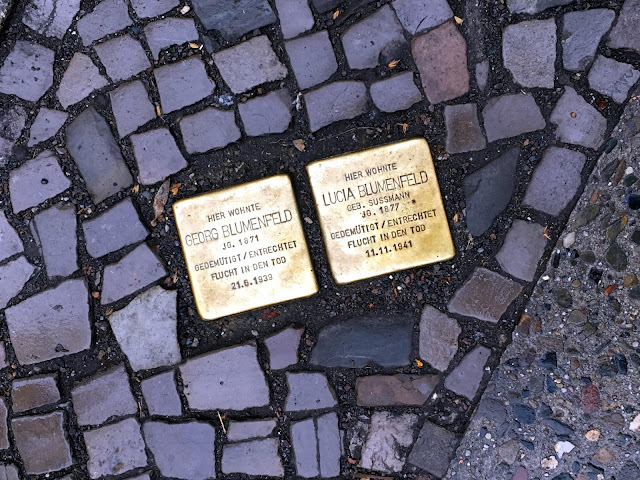 Take your time and look down once in a while and you might come across stolperstein (stumbling stones) Paving stones have been replaced with brass plaques, engraved with the names of Holocaust victims. A small but poignant memorial. Get yourself a Monzo account. It works like a prepaid Mastercard so you can use it in shops but also withdraw cash without ridiculous charges. I found it better to go without the conversion at ATMs, saving up to £10 per transaction. You can top up your Monzo card on the go from Apple pay or your debit card. 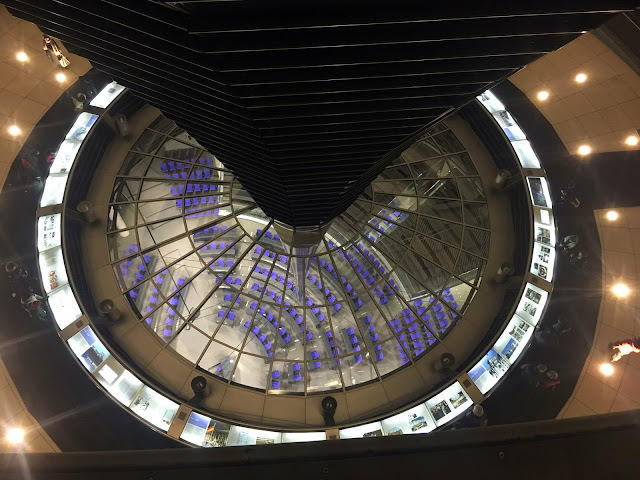 If you are heading for a shopping spree, be sure to check out The Mall of Berlin for all your favourite European high street brands. 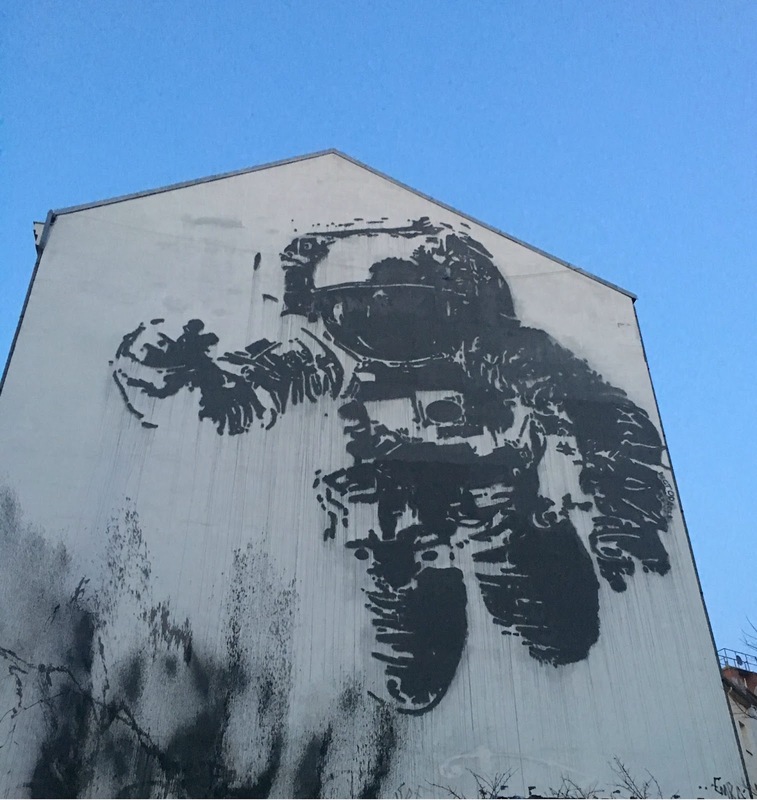 If you are looking more boutique and niche stores, visit Bikini Berlin or head into Mitte or Kreuzberg. 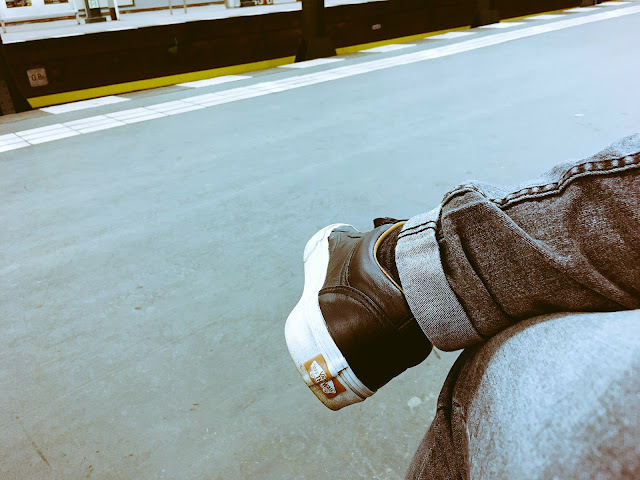 The public transport system is fantastic with the UBahn underground running up to 3.30am on Saturdays, you're never more than 10 mins from your next train. Pick up a 5 day A/B ticket to cover you for (almost) all of Berlin. Be prepared to walk. We covered over 30 miles in 3 days just pottering about and on tours. Bring comfortable boots or trainers! There is an annoying habit of charging for the bathroom, even in places where you have paid for coffee etc. Bring change! I'm already experiencing withdrawl symptoms and we have looked into flights to revisit in the summer - watch this space!